Since a while I’ve been in search of a decent Belgian chocolate and once more I found one I just wanted to try for myself, in hope to find something remarkable. 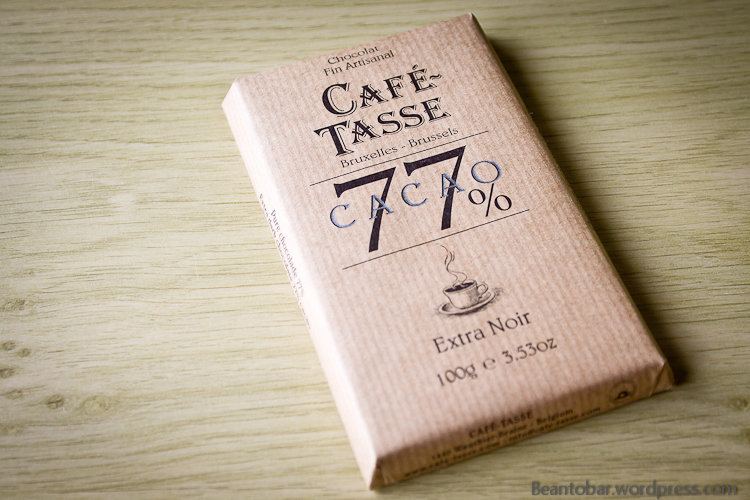 Café-Tasse produces a line of chocolates with added ingredients like coffee, tea, spices and fruits, but I aim for the pure chocolates. 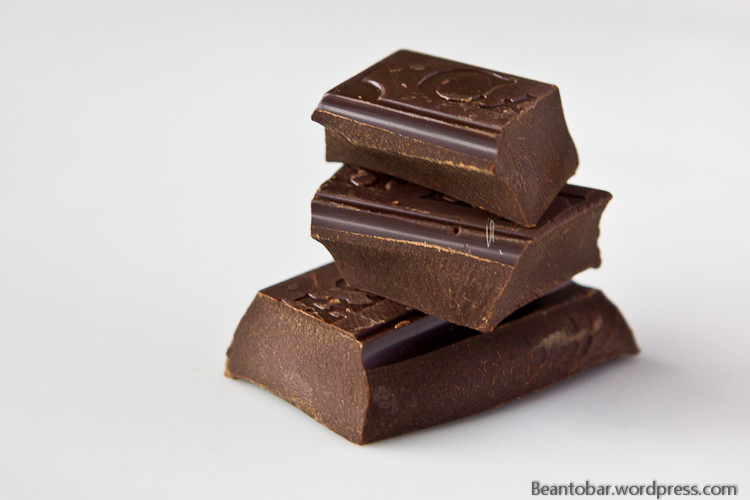 There isn’t a terroir or type of bean noted, but the chocolate comes in a nice looking wrapper, promising fine artisan chocolate. Inside, the bar is covered in an aluminum foil and consists not of pieces but small bars you can break off easily. 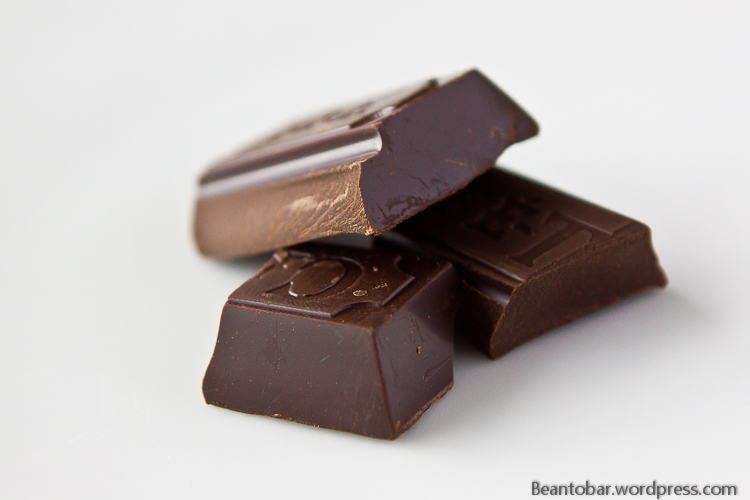 Taste: A hard snap when breaking of a piece reveals touch of earthyness, before the taste becomes slightly sweet. The chocolate dissipates in a buttery melt. Somewhat greasy even. 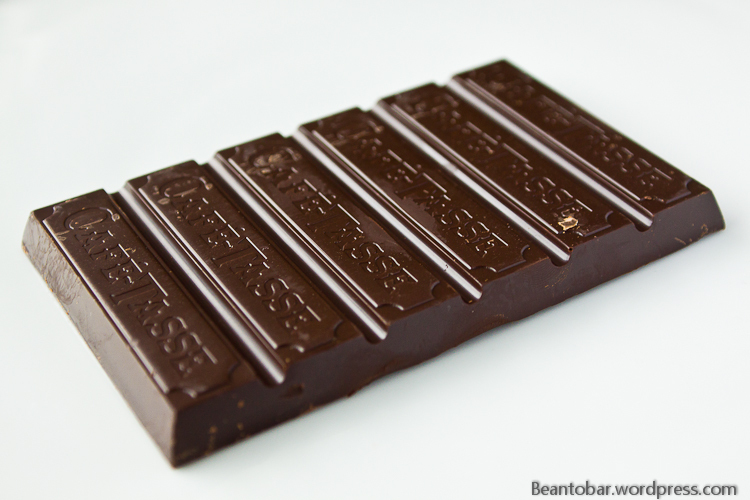 otherwise, the chocolate excels in… blandness. There is no taste evolution going on whatsoever. A slight gingerbread notion is present, but there is nothing else to be found. If you try hard, maybe some coffee. Even the chocolate taste itself isn’t strong enough. It all goes by without any high points. The aftertaste follows the actual taste and isn’t remarkable. Here a slight bitterness sneaks in and the length is rather long, but what is the point if the chocolate itself isn’t shining? This chocolate is stated to be produced to accompany a nice cup of coffee, but on its own it is just another Belgian disappointment. The bar probably will be used for cooking purposes. Previous Post How to get more chocolate? By winning a contest!